Wright's Orchard was started in 1981 with an original planting of 250 semi dwarf trees. Each year since then, we have expanded substantially, not only in the size of the orchard but also in the stone fruits and flowers. Wright's Orchard no longer sells or grows dried flowers. Please call (860) 872-1665 for picking conditions and times. own from our wide variety of apples and pumpkins. As well as purchase fresh peaches, raspberries, blueberries, vegetables, etc. Click here for directions to Wright's Orchard and Fresh Farm Stand. 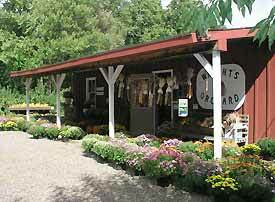 family and pick your apples, pumpkins, raspberries or browse the Dried Flower Barn! recipes? Or fresh vegetables, fruit, etc. per person for a 4 lb. mini tote bag. All Pickers: adults and children, 4 lb. minimum per bag for every two people. Organized groups must pre-register with us by calling (860) 872-1665 at least three days prior to your visit due to limited parking on peak weekends. We reserve the right to refuse admission if groups arrive unexpectedly. We will make every effort to accomodate you, but our parking is limited.